As if worrying about reeds wasn't enough . . . I was handed this little piece of business yesterday when driving into the local cemetery where I play pipes on occasion. It seems there was a coyote loitering on the premises a few weeks ago who tried to drag a visiting 3 or 4 year old into the nearby brush for an early lunch. (Or was it a cougar? The memory fades. I suppose if you really want to know you could look it up. Google knows everything, so they say.) The mother was nearby and apparently gave the critter a good bash with a handbag or something and rescued the child. But we have now all been duly warned. I was used to the warnings on the signs about locking the car doors and not leaving valuables in plain sight. I suppose there's nothing for it now but to sharpen up the sgian dubh and try not to forget it when next I'm called for a funeral. Now that I think about it there's a cemetery out in the valley -- the one where both Fred Astaire and Ginger Rogers are buried -- that has signs posted at regular intervals informing visitors that it is "rattlesnake season" and to be careful where you tread. 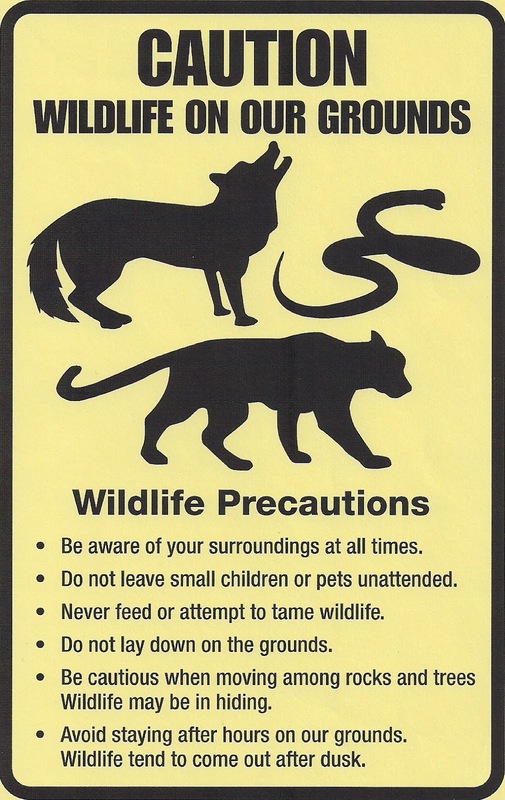 (I'm not actually certain what season rattlesnake season is since the signs seem to be permanent.) I don't think I ever take my eyes off the ground when I play there. Some Piping for the Weekend . . .
Fin Moore and Andrea Beaton on border pipes and fiddle. Finan succeeded Aidan at Lindisfarne, the Irish mission based on the northeast coat of England. Seventeen years earlier the Anglo-Saxon King Oswald had requested Irish missionaries from Iona to teach Christianity to his people and Aidan had gathered all of Northumbria to the faith. Beginning in 651, Bishop Finan carried forward into the other Anglo-Saxon kingdoms. The English historian Bede tells that the people flocked joyfully to hear the Word, that "the English great and small were by their Irish masters instructed in the rules and observances of regular discipline." And although an Irish priest, Ronan, is on record as having tried strenuously to persuade Finan to change over to the universal date, even as the rest of Ireland had done, nothing could move Finan from the traditions of Colmcille. Commendable in every way, blameful in none, Finan died as he had lived, true in every smallest way to the traditions of Iona and the holy men from whom he proceeded. Aidan's regime won all of Northumbria. Under Finan, Celtic jurisdiction reached the Thames and the diocese of London where the Canterbury mission had failed. An Unsolicited. . . .
. . . and, alas, uncompensated endorsement. A decaffeinated tea that's actually worth drinking. This is the only decaf tea I've ever tried that wasn't equivalent to hot, coloured water. Even the Irish, who have wonderful, strong blends of tea, can't do decaf. 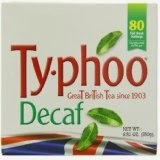 But Typhoo decaf really is worth buying. It tastes like tea. Good tea. It's Septuagesima Sunday and Lent is just around the corner. The Roman Rite and the Ordinariate liturgies do Septuagesima but the poor old Pauline Rite is still wandering about in Common or Garden Variety Time. At least in the English-speaking part of what's left of western civilization, there are two saints left in the popular imagination whose days are acknowledged: St Valentine and St Patrick. So for reasons known only to himself and God, Bugs and company demoted St Valentine and erased his feast day from their brand new liturgy. But St Valentine is still around and his relics and shrine are in Whitefriar Street Church in Dublin should you choose to make a visit. You can read a bit about it here and here. You can even attend a Mass celebrated in his honour today, should you be among the fortunate few near a church which still celebrates in the traditional Roman Rite on a weekday. Bl Archangela Girlani, O. Carm. It is her feast day again in the old Discalced Carmelite calendar. O God, who hast specially favoured the virgin, blessed Archangela, from her youth in preparation for thy gift of heroic virtue: grant through her intercession, that having been protected by the gift of thy grace upon earth we may deserve to join the choirs of the blessed in heaven: through Christ our Lord. Amen. Careful: Friday the 13th . . .
. . . comes on a Thursday this month, even today. I haven't walked under any black cats so it's been a fairly lucky day. Amazon decided to deliver my copy of "Finding Your Irish Ancestors in New York City" about a week early and I have been duly pouring over it. I've been trying for a good long time to find exactly where in Ireland great grandfather Thomas Cahill comes from. It would be a lot more helpful if I actually lived in New York but even so there are some very good leads for those of us on the other side of the continent. TODAY MONDAY 10 FEB 2014 1:00 p.m. on TCM: "Mr Deeds Goes to Town". The Jean Arthur TV Movie Alert Service is kind of ashamed of itself these days. It has allowed several Jean Arthur movies to go unremarked here in the past few months, including two or three showings of "The More the Merrier" in just the past few weeks. Why, this isn't even the first showing of Mr Deeds this month. The Jean Arthur TV Movie Alert Service could kick itself. A fine way to treat the finest comic actress America ever produced. 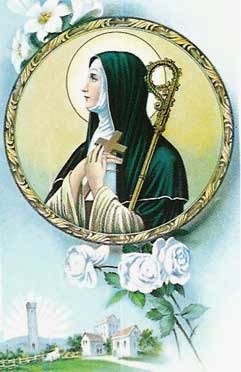 Today is the feast of St Brigid of Kildare, the co-patron of Ireland and the first Irish nun. Mrs Vidal has summary of her life here. Wikipedia tells her story at some length here. For some cause or other Bridget was a popular saint in England and Scotland, where she was better known by the corrupted or abbreviated name of St. Bride, and under this name a number of churches were dedicated to her. We need only mention St. Bride's Church in Fleet-street, London. Adjoining to St. Bride's Churchyard, Fleet-street, is an ancient well dedicated to the saint, and commonly called Bride's Well. A palace erected near by took the name of Bridewell. This being given by Edward VI to the city of London as a workhouse for the poor and a house of correction, the name became associated in the popular mind with houses having the same purpose in view. Hence it has arisen that the pure and innocent Bridget—the first of Irish nuns—is now inextricably connected in our ordinary national parlance with a class of beings of the most opposite description. Bride a "corruption or abbreviation". Hmmm. Perhaps instead a more accurate approximation to the original Irish of her name than Brigid?